I have for a long time had a fascination for Italian wines. It isn’t just their quality that interests me; it’s their unquestionable value too, so I decided to pay a long overdue visit to some of Lea and Sandeman’s favourite Italian wine producers in Piedmont and Tuscany to learn more about what lies behind the labels. If you put Barbaresco into Google images you too can experience the excitement I had for visiting this beautiful wine region. 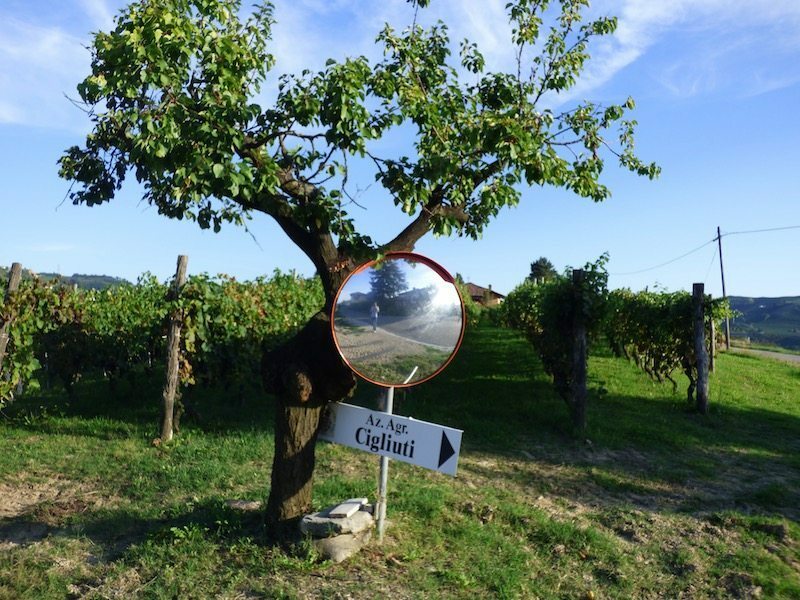 Home of the Nebbiolo grape – one of Italy’s most famous – some wines from this region are austere and often high in tannin and (pleasingly for me) cry out for heavy food (think wild boar, feathered game, risotto with porcini and of course – truffles). 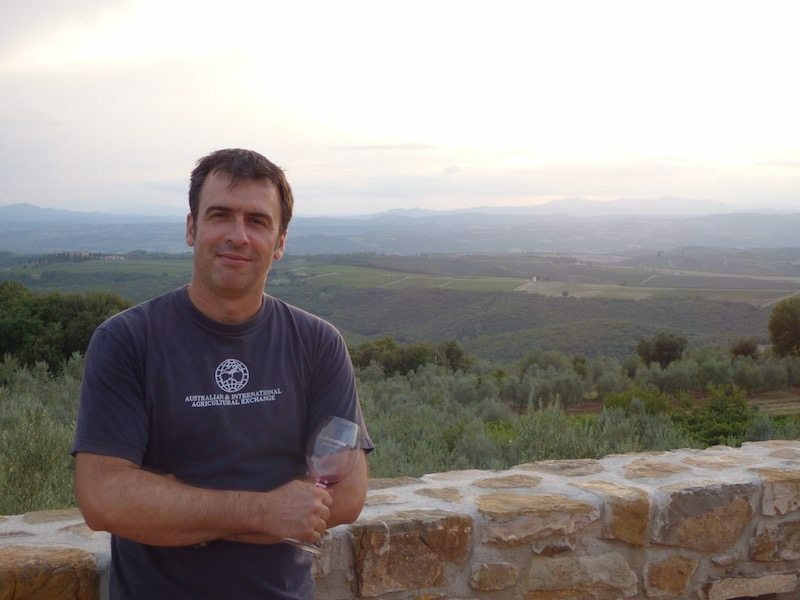 I first visited the utterly charming, modest and hugely talented Andrea Sottimano of Azienda Agricola Sottimano – a family run winery producing some of Barbaresco’s most elegant wines. After a long leisurely lunch (this became a recurring theme for the remainder of the trip) overlooking the rolling vineyards of Barbaresco, Andrea took us down into his cellar. It was welcome respite from the 36 degrees above ground and Andrea wasted no time in selecting wines he couldn’t wait to show us. The range of wines produced at Sottimano, and in Barbaresco in general, makes it so enjoyable to try the whole collection and I implore you to do so. From delicate Dolcettos and juicy Barberas to powerful Barbarescos there is something for every red wine drinker. We try a few of his top Crus – Cotta (the first vineyard purchased by his father Rino) 2008 steals the show with its sheer concentration and purity of fruit, powerful structure and already developing complexity. On the way back up into the heat we pass an especially mouldy and dusty collection of bottles. “My vintage, 1975” Andrea proudly gestures. With the birth of a new member of the family, 100 or so bottles are laid down in their vintage. I ask how it is drinking and he tells me it is beautiful and that they open one each year on his birthday. These are sleepy wines with the potential to age for decades and patience is greatly rewarded. Our next stop is with Azienda Agricola Cigliuti, just 10 minutes down the road. The ever-smiling Claudia Cigliuti, one of two daughters taking over the reigns from father Renato, greets us warmly in the courtyard where they are drying their freshly harvested hazelnuts. We are shown the cellar and winery where they are busy preparing for the harvest. I ask when she thinks this will be. She calmly answers “I’ll do it when I get back from the Lea and Sandeman Autumn Tasting”. The timing of our visit is perfect. Claudia has recently opened some older vintages of her top Crus: Vie Erte and Serraboella. From one noble Italian grape to another we arrive in Montalcino, one of the greatest expressions of Sangiovese. Marcello and his dog Nello greet us (unfortunately Nello’s brother Brun is no longer with us) and lead us straight to see the 2011 Brunello being bottled. I ask if it will be as good as heralded 2010 vintage and am told things are only getting better. We sit over looking the hills of Tuscany and try all of his wines while he patiently explains the hard work that goes into making them (now fully organic). The language barrier between Marcello and myself is rather tall but looking down over Frescobaldi and Antinori vineyards he reminds me of the small size of Collemattoni. The Rosso di Montalcino 2013 (the perfect pasta and weekday wine of the trip) is crunchy and refreshing, packed full of sweet cherry fruit. The 2010 Brunello far exceeds all the hype I have read and is the best value Brunello I have ever tried. The single vineyard Fontelontano Riserva 2006 is delicate, silky and majestic with bags of chocolate and spice and is the perfect match for my wild boar that evening. 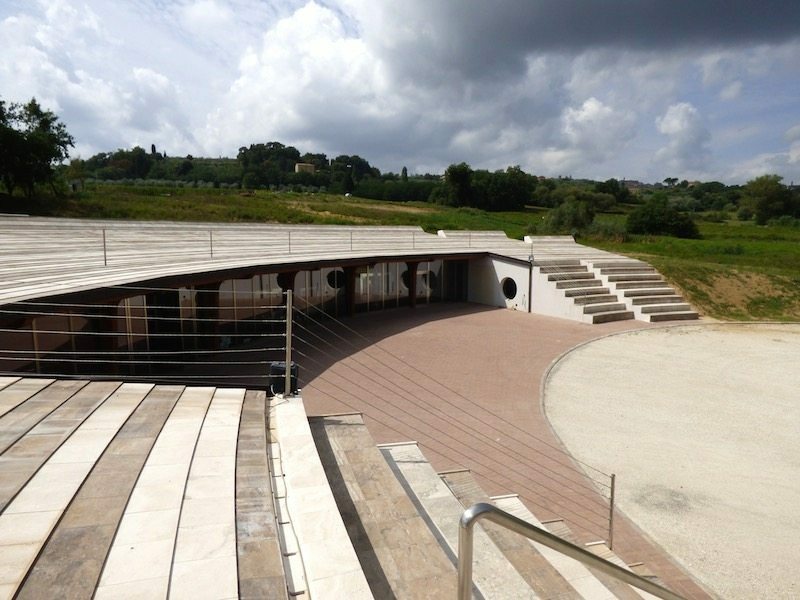 The following day we make the short drive to Cantine Dei in Montepulciano – Montalcino’s lesser known brother with just a fraction of the number of producers. The new magnificent winery at Dei has begun to resemble something out of one of the new bond films, with sparing use of marble from the family’s quarrying business nearby. 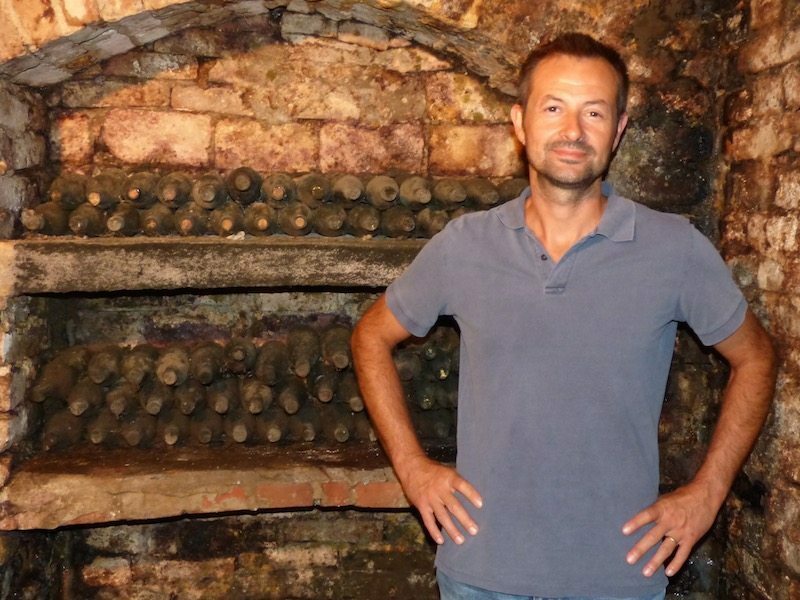 Federico gives us a tour of the cellars and vineyards and we taste a number of vintages of all of the wines. The standout and signature wine of the estate is Vino Nobile Bossona 2009 . With big boots to fill after the outstanding 2008 this vintage is equally impressive. Made from a small parcel of Prugnolo Gentile (a local take on Sangiovese) this is a rich, concentrated and seductive wine which is powerful yet beautifully balanced. One of the highlights of the trip. 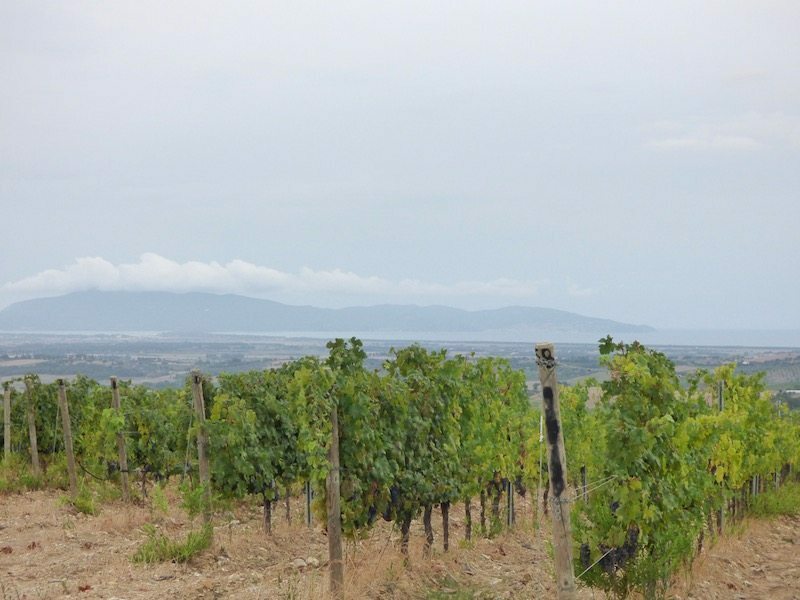 We end our journey at Fattoria di Magliano in the Maremma, the less glamorous yet beautiful agricultural corner of Tuscany where the Lenci family have been producing wine since 1996. After a number of powerful reds throughout our trip the dangerously drinkable Vermentino Pagliatura is extremely welcome as is the bright and juicy Sangiovese and Syrah blend, Heba which served chilled is beautifully refreshing. However, it is the estate’s single vineyard ‘Super Tuscan’ blend, Poggio Bestaiale which steals the show. The Bordeaux varieties grown on top of this hill enjoy one of the best views in Tuscany, looking out South-West over the Mediterranean. This wine completely over delivers on price and tasted blind would give some of Italy’s most famous Super Tuscans (at perhaps three times the price) a reason to be worried and it is precisely wines like this which makes Italy such a brilliant hunting ground for wine lovers.